Fits ALL Ford 1.6TDCI And Peugeot Citroen 1.6 HDI Engines. GENUINE PEUGEOT / CITROEN PART. SET OF 4 COPPER WASHERS. Old part number - 198185. 7.3mm internal. Genuine Peugeot and Citroen all 1.6HDI Engines. injector seal KIT - per injector. 1609848280 x 1. Fits ALL Ford 1.6TDCI And Peugeot Citroen 1.6 HDI Engines. SET OF 4 COPPER WASHERS. 2.4m thickness3831. 16mm external. 7.3mm internal. Part numbers of the kit are New Genuine. 1609848280 X4. CITROËN 198135. Fuel Type Diesel. CITROËN 198138. FORD Fiesta MK V from 11/2004 do 07/2008 - Duratorq 1.6 TDCi 90KM. FORD Fiesta MK VI from 07/2008 -> - Duratorq 1.6 TDCi 75/90KM. FORD Fusion from 11/2004 do 07/2008 - Duratorq 1.6 TDCi 90KM. FORD Focus MK II from 07/2004 do 12/2007 - Duratorq 1.6 TDCi 90/110KM. Powder coated original AFM brackets for both the 205 & 309 Gti in 1.6 or 1.9 form. THE PART NUMBER IS 157083. THIS INJECTION RAIL FIT THE XANTIA MK2 AND XSARA. 2.0 HDI ENGINE. INJECTION FUEL RAIL. IF YOU ARE NOT SURE IF IT IS THE CORRECT ONE FOR. Genuine Original (O.E.) Parts for 2.0 HDi / JTD engine High pressure fuel injection rail. 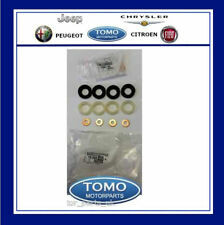 Part number Bosch 0 445 214 010. Genuine Original (O.E.) Parts for 2.0 HDi / JTD engine Full set with their special nuts and cone washers. To answer any queries and deal with complaints in a courteous, professional and speedy manner. NEW GENUINE CITROEN PEUGEOT. TO FIT ALL THE FOLLOWING CITROEN PEUGEOT VEHICLES FUEL INJECTION LINE HIGH PRESSURE PIPE. PARTNER VP. PARTNER VU. OE Part number BERLINGO VU. BERLINGO VP. C4, C4 Picasso, C5, C8, Synergie, Dispatch, Jumpy. Genuine Peugeot 106 Saxo (early models) Fuel Injector Loom 1.4/1.6 8v TU. Used fuel injector loom for the Peugeot 106 / Saxo 8v TU engine (early models) models. This is a used item fully tested when removed from the vehicle. Part Number - 198196. 1.4 HDI & 2.0 HDI. These injector seals fit most of Citroen and Peugeot cars. New Genuine Peugeot and Citroen. 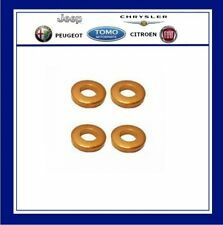 Peugeot and Citroen injector Copper Seal 1.6 HDI DV6. SET OF 4 COPPER WASHERS. New Genuine. 4 X INJECTOR SEAL & WASHER. For sale we have 4 Bosch Fuel Injectors removed from Citroen C8, 2.2 Hdi, 2004 reg. Citroen Relay 2.2HDI 2007/-. Peugeot Boxer 2.2 HDI 2007/-. Fiat Ducato 2.2 HDI 2007/-. Peugeot 106 GTI / Saxo VTS engine bay fuel lines - Used - Spoox Motorsport. Peugeot 106 GTI / Citroen Saxo VTS Engine Bay Fuel Lines. Removed from a 2003 Citroen Saxo VTS. This does not affect your statutory rights. 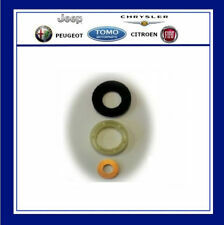 Genuine Peugeot /Citroen 1.4 HDI and TDCI Duratorq Rocker Cover and Injector Seal Kit, Protectors & Washers. Plastic Injector Protectors 1982F7 X 4. 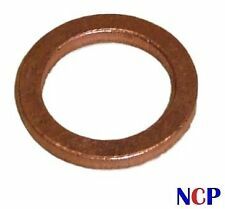 Copper "O" Ring Seals (Bottom Of Injector) 198196 X 4. This is a USED item that has been plated so is in good condition. Open Mon - Fri 8.30am - 5.30pm. It's part number part number 3 in the picture. However, the one i have isn't that shape, at one end its got an extra lug section. 73mm long at its shortest side & 83mm at the lug side. Width is 66mm. Vehicle manufacturer part number 1574W2 1574. W2 1574 W2. Engine 1,6 HDI / 1,6 TDCi. Citroen BERLINGO I. Citroen BERLINGO II. Citroen C3 2002-2009. Citroen C3 II 2009-. Citroen C4 2004-2010. Ø Almost all of our cars which we are breaking are right hand drive cars. · Match yours part with ours part pictures. Necessary information. Vehicle manufacturer part number 1570 H1 1570H1 1570. Engine 2,7 HDI V6 UHZ. Model C6 | C5 2 (3) | 407 | 607. Citroen C5 2 2008 -. Citroen C6. Peugeot 607. Peugeot 407. Fuel type diesel oil. Vehicle manufacturer part number 1570 H3 1570H3 1570. Engine 2,7 HDI V6 UHZ. Model C6 | C5 2 (3) | 407 | 607. Citroen C5 2 2008 -. Citroen C6. Peugeot 607. Peugeot 407. Fuel type diesel oil. Engine 1,6 HDI. Citroen Berlingo. Citroen Berlingo 1. Citroen Berlingo 2. Citroen C4. Citroen C4 2004-2010. Citroen C4 Picasso. Citroen C4 Picasso 2006-2013. Engine 1,4 HDI / 1,4 TDCi. Fuel type diesel oil. SWIFT: INGBPLPW. 30 1050 1070 1000 0022 1597 3690. ING Bank Slaski. send us your VIN—we will select the right part. If the number of your part is different from ours or if you are not sure whether it will work with your car. Engine 1,6 HDI BlueHDI. Citroen Berlingo 2. Citroen C3 2 2009-. Citroen C3 Picasso. Citroen C4 Cactus. Citroen C4 Picasso 2. Citroen Ds3. Citroen Ds4. Part number 0445010021 0281002493. Vehicle manufacturer part number 1920AL / 1920. Engine 2,2 HDI / 2,0 HDI. Model 807 / C8. Citroen C8. Citroen C5. Citroen C5 2001-2008. Peugeot 807. Vehicle manufacturer part number 1573SR / 1573 SR / 1573. Engine 2,0 hdi. Fuel type diesel oil. SWIFT: INGBPLPW. 30 1050 1070 1000 0022 1597 3690. ING Bank Slaski. send us your VIN—we will select the right part. Vehicle manufacturer part number 1570 H2 1570H2 1570. Engine 2,7 HDI V6 UHZ. Model C6 | C5 2 (3) | 407 | 607. Citroen C5 2 2008 -. Citroen C6. Peugeot 607. Peugeot 407. Fuel type diesel oil. Vehicle manufacturer part number 1574S9 / 1574 S9 / 1574. Engine 1,4 HDI. Fuel type diesel oil. SWIFT: INGBPLPW. 30 1050 1070 1000 0022 1597 3690. ING Bank Slaski. send us your VIN—we will select the right part. Engine 1,6 VTI. Fuel type petrol. SWIFT: INGBPLPW. 30 1050 1070 1000 0022 1597 3690. ING Bank Slaski. send us your VIN—we will select the right part. Vehicle manufacturer part number 1574Q5 1574 Q5 1574. Engine 1,6 HDI / 1,6 TDCi. Citroen BERLINGO I. Citroen BERLINGO II. Citroen C4 2004-2010. Citroen C4 Picasso 2006-2013. Citroen C5 2001-2008. Citroen C5 II 2008 -.